Aramis was launched by Estee Lauder Companies in September 1964 in New York and then in the UK, exclusively in Harrods at first in 1965. It has remained popular ever since and is a true classic fragrance. The Aramis range has grown and includes a wide range of shaving, hair, bath and body products. Aramis Gold was launched in 1998, which has a scent based on the original Aramis. There are 179 reviews of Aramis. This is a review for the concentree version. Amber, citrus and florals come out from the start: a light musk overhangs it all. Aldehydes for days. I think this may be the antithesis of a chypre. A natural leather comes through as but not at the forefront: it's mixed in well. I wouldn't call this a leather-prominent scent, it's lighter than that with bits of sweetness. Still, it's a masculine scent: no doubt about it. While it may have citrus in it, there's too much musk lurking around to consider it even unisex. While this may have been popular in the 1970s and 80s, I wouldn't consider it a relic. Do I find it oudated? No: however, I am not sure what an ideal time for it would be. A springtime walk with a significant other? Maybe, but it's a bit aggressive. Going to an outdoor sporting event? Just don't spray too much of it and piss everyone off around you. It's got the potential to be VERY cloying with overuse. Projection is above average but not nuclear by any means. Sillage is...not great. 4-5 hours for me and then there's almost nothing left but an almost...Mountain Dew...scent? I do wish I got more sillage out of it (Concentree doesn't boost the sillage for me), but I paid only 35 dollars for a 3 ounce bottle at the time of writing the interview so I don't expect miracles. Ultimately it's a good herbal chypre that can be cheaply purchased albeit with some flaws. At the very least, get a small bottle of this, my fellow parfumer: inhale a part of the olfactory pantheon and a uniquely historical scent that brought us here. The previous reviews pretty much cover this one from every angle. Aramis is potent stuff, and if misapplied could lead to room-clearing offense. Moderation is key, and leads to an all-day, pleasant leathery and floral classic. I'm a big fan of the old school, yet I confess that Aramis, while still holding forth in a plausible manner, does wear its era more obviously than some others. I cannot imagine this being introduced today by a designer house. But the quality that Lauder has maintained is laudable, and is evident in Aramis. It may not scream Old Man, but it does shout Man. Well this fragrance is like fresh air in a bottle, the aldehydes are big on it, and it just feels like a fresh, herbal leathery scent, not leather but leathery, leatherish. At times I smell all those flowers, thyme, gardenia, a pleasant bouquet of flowers adorning what seems to be a man's den. The doors to his garden are fully open too, you smell all the green leaves and herbs, he has leather furniture, he has a cat too. Overall it does smell clean and not dirty, herbal from the vetiver and oakmoss, leather is merely a background note after it settles and dries down, while the initial blast is indeed pure leather joy. That first impression is my favorite, the strong leather blast is heavenly. I personally would have wanted a stronger leather note, along with more musk. It is very masculine and reminds me of the fougere that is V&A for men, the same rich composition of various elements without the rose note. Aramis is an interesting one. Initially, I considered this to be a "granny" fragrance. I tried this out on a tester strip in the mall and it smelled very floral, and conjured up images of antiques and potpourri. I could imagine an elderly aunt or someones grandma wearing it, but definitely not a man, regardless of age. After getting some more experience with fragrances, I gave this one a second try, this time on my skin. This time the opening had a very classic, cologne-y type smell, with some floral and herbal aspects. It was very sophisticated, refined, and almost femme. I could see it as old school unisex. That lasted for about an hour. After that it switched gears and became undeniably macho. The leather comes out and there's a hint of sweat in there. The floral aspect are lingered faintly in the distance, but the leather and animalic notes were at the forefront. The good thing, is that despite this animalic nature and the tough persona, it doesn't wear heavy, unlike other masculines like Polo, Trussardi Uomo, Drakkar Noir, Kouros, etc. I only used one spray though. a little like Quorum. They both have drydowns that have a hint of sweat in there, and their both very macho. There's an herbal element in both as well, but Aramis has florals mixed with it too. However, I prefer Aramis much more to Quorum. The first hour of this fragrance is a beautiful scent. Just very classy. After that, it loses some class and becomes this very rough and tumble character. It matches well with what was in fashion for men in the 1970s: thick mustaches, and shirts unbuttoned enough to show thick tufts of chest hair. I can see John Holmes or Tom Selleck's Magnum P.I. wearing this. I think this scent is too dated to be a thumbs up. I'm not a fan of that sweaty machismo in men's fragrances. But, for the type of style this fragrance is going for, I think it succeeds very well. Not my favorite of the powerhouses, a little too loud for most situations. It had its time and it's a classic but there are better scents out there. A stunning masterpiece. A huge initial blast of Bergamot, Sage, and Clove in the opening. Then leather, spice and a sweaty note probably from Cardamom(even though it is not listed). It just all comes together so well in the dry down. The first time I tried Aramis, I didn't like it. I thought it was too strong. But I realized later that I sprayed it on too heavy. There is a method to wearing this. Do NOT over spray it. You have to hold the bottle a good 16" away and let the MIST hit your skin, NOT the stream. One spray on each arm, maybe one on the neck. Wait for it to settle for a few minutes before you judge it. It is STRONG at first, just like ALL Aramis scents are. But what an amazing value. An amazingly beautiful fragrance, highest quality, yet inexpensive. This is one of the greatest of all time. A true work of art! 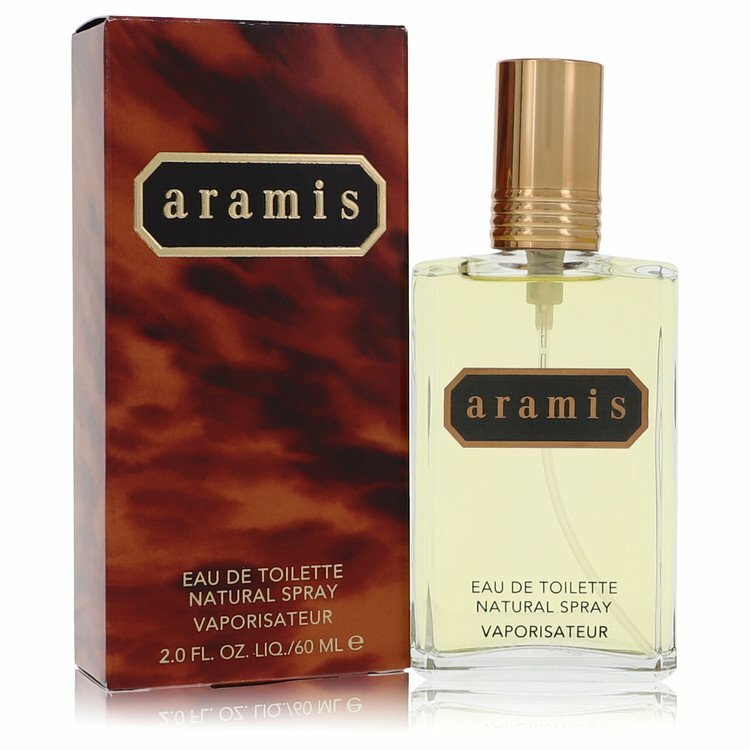 Aramis Cologne Eau de Toilette Natural Spray 3.4 oz. Aramis Adventurer - any similarity to Bvlgari Aqva? Is Aramis New West similar to Imaginary Authors Every Storm a Serenade? I love Aramis Havana, what else should I try?